Like other highways of its day, Route 66 reflects the origin and evolution of road transportation in the United States. The often romanticized highway represents an outstanding example of transition from dirt track to superhighway. Not only does Route 66 underscore the importance of the automobile as a technological achievement, but, perhaps equally important to the American psyche, it symbolized unprecedented freedom and mobility for every citizens who could afford to own and operate a car. Escalating numbers of motor vehicles and the rise of the trucking industry increased the need for improved highways. In response, the federal government pledged to link small town USA with all the metropolitan capitals. The period of outstanding historical significance for Route 66 is 1926 to 1985. The national system of public highways brought geographic cohesion and economic prosperity to the disparate regions of the country. As a component of the federal network, Route 66 linked the isolated and predominantly rural West to the densely populated urban Midwest and Northeast. Chicago had long served as a transshipment point for goods that were transported to the West. The creation of Route 66 ensured the continuation of this vital socioeconomic link. The appearance of US Highway 66 came at a time of unparalleled social, economic, and political disruption and global conflict. It also enabled one of the most comprehensive movement of people in the history of the United States. One result was the irreversible transformation of the American far west from a rural frontier to a pacesetting, metropolitan region. Perhaps more than any other American highway, Route 66 symbolized the new optimism that pervaded the nation's postwar economic recovery. For thousands of returning American servicemen and their families, Route 66 represented more than just another highway. "It became," according to one contemporary admirer, "an icon of free-spirited independence linking the United States across the Rocky Mountain divide to the Pacific Ocean." In recent years, Route 66 imaginatively documented in prose, song, film, and television has come to represent the essence of the American highway culture to countless motorists who traversed its course during the more than fifty years of its lifetime. Its path crossed approximately 178 miles of Texas, passing through Shamrock, Lela, McLean, Alanreed, Groom, Conway, Amarillo, Bushland, Wildorado, Vega, Adrian and Glenreio, among other communities, and roughly followed Interstate 40. Many segments continue to serve interstate tourists and commercial traffic, while other sections now cater to a more localized market. The associated built environment reflects this rich history. While some of the buildings and structures continue to be used in their original capacity, others have been repurposed, abandoned, and even demolished. The survivors represent a rich legacy in the history of the state and highway transportation. 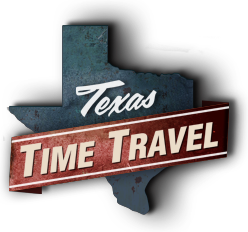 To read the Route 66 history at the national and Texas levels, click on Route 66 Corridor National Historic Context Study (14 MB) and Route 66 in Texas Historic Context Report (1 MB) to download.